Second book in the Caster Chronicles by Kami Garcia and Margaret Stohil. It carries on from the last amazing book, Beautiful Creatures. Macon Ravenwood, Lena’s Incubus uncle, is dead- (so sad) he died while fighting Lena’s Dark mother, Sarafine. The night Macon died, on Lena’s sixteenth birthday, one of her eyes turned yellow, the other green. Usually when a Caster is claimed they turn Light or Dark- Light meaning green eyes and Dark meaning yellow- but Lena’s sort of half- and- half. After Macon dies, Ethan is getting worried about Lena- she’s stopped writing in her journal and she’s become all distant. She’s even stopped Kelting with Ethan (like… talking through their minds.) and blocks him out instead. And Ethan’s started having these strange dreams which involve Macon and a woman called Jane, who Macon seems to be madly in love with. On the last day of school, Ethan, Lena and Link are at the lake because of a school incident. After kissing Ethan, Lena runs into the forest and jumps onto the back of a Harley with a stranger. Ethan’s confused, duh. So then, Ethan and Link meet Ridley, the Dark Caster Siren (power of persuasion). Ridley is with a guy- John Breed, who happensto be the guy Lena ran off with. Ooh! And at his job at the library under Marian, Ethan meets Liv. Ethan and Liv are friends, and Lena sees them eating lunch together when she drives past and jumps to the wrong conclusion. At the County Fair, Ethan and Lena are talking. Lena’s wearing Ridley- style clothes. Liv turns up, causing Lena to go psycho. The three (Ridley, John and Lena) disappear. Amazing. Read. Read. Read. Read. Read. Read. Not as great as Beautiful Creatures, but brilliant anyways. Age 12… I guess. 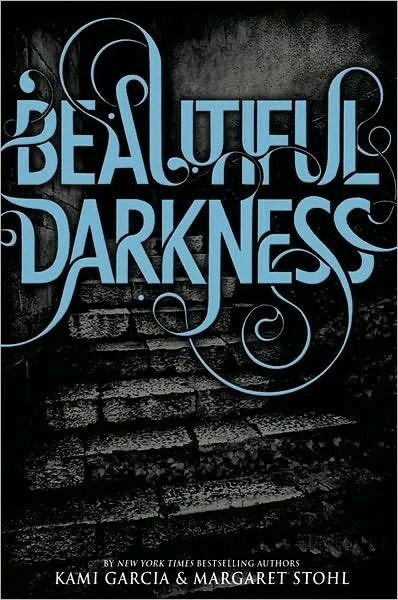 Awesome first book in the awesome Beautiful Creatures series by (hold on, let me check… got it (Google rules)) Kami Garcia and (checks Google page again) Margaret Stohl. The Beautiful Creatures book is pretty amazing. Can’t speak about the movie, because I have yet to rent the DVD from the library, but the book is brilliant. Basically, it’s about this boy, Ethan Wate, and the book starts off with a dream. In the dream there’s a girl, and falling, and I’m not getting any more specific than that. It’s a love story. And the main characters are Ethan and LENA DUCHANNES, hint hint. She’s a Caster, which is basically another word for witch. And on her sixteenth birthday, Lena will be ‘claimed’ for either the ‘Light’ or the ‘Dark’. Light casters have green eyes and Dark casters have yellow. Lena lives with her uncle, Macon, and her family are pretty much outcasts in their town, Gatlin. Lena moves in with Macon because her dad’s dead and her mom, Sarafine, is a Dark caster and wants to murder her. On her first day of school, Ethan recognizes her from his dreams. And they’re connected. They fall in love, but the Book of Moons and Sarafine are complicating things. The song, Sixteen Moons- It’s quite creepy. Well, that’s an understatement. It gave me goose bumps. Ethan hears it in snatches as it keeps appearing in his head- well, the first part appears on his iPod. The Book of Moons- what’s with all the moons in this? A Dark book. Lena’s cousin, Ridley- she’s a Dark caster, a Siren. Lena’s uncle, Macon- not Ridley’s dad. An Incubus. Ethan- a Mortal. His dad’s gone strange since his mom died. Amma looks after him. Link- Ethan’s best friend. Mortal.